Manufacturing and production are very intricate and complicated processes. Nobody knows your product better than you do. To stay competitive, manufacturing processes need to be continually reviewed, revised and improved. 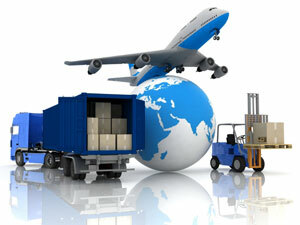 Logistics, while important in the overall supply chain, is a completely different and complex process. The McAllen Foreign Trade Zone doesn't know manufacturing... but we are experts in logistics. Let the experts handle your logistics so you can focus on what your company does best. The McAllen Foreign Trade Zone is the premier 3PL provider in the area. In operation over 25 years, our highly skilled team has the knowledge, skills and resources to manage your operations. With nearly 600,000 SF of warehouse space at our disposal, no client is too big or too small. Our team of quality inspectors has the experience and tools required to sort any size job. Whether its visual acceptability of component materials or minor re-works, our team will respond quickly and efficiently to our customers' strict product specifications. We take care of all labeling needs from labeling packages as they come in to labeling the product before it ships out. We can also create custom labels for your products as needed. We have large staging areas where inbound materials can be sorted, consolidated and stored until the outbound shipment is ready to be shipped. It is used to decrease inventory storage by streamlining the flow between the supplier and the manufacturer. When the McAllen FTZ handles your logistics, you pay for only the space you occupied. Pay as you grow provides your company the flexibility it needs to run a lean operation.